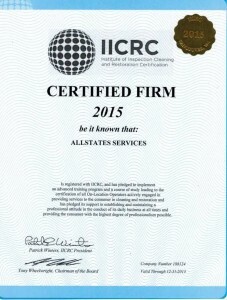 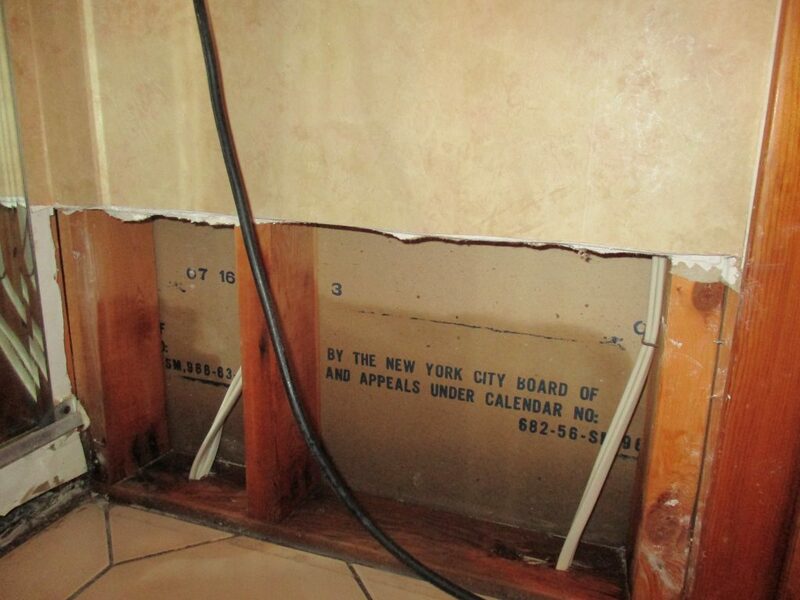 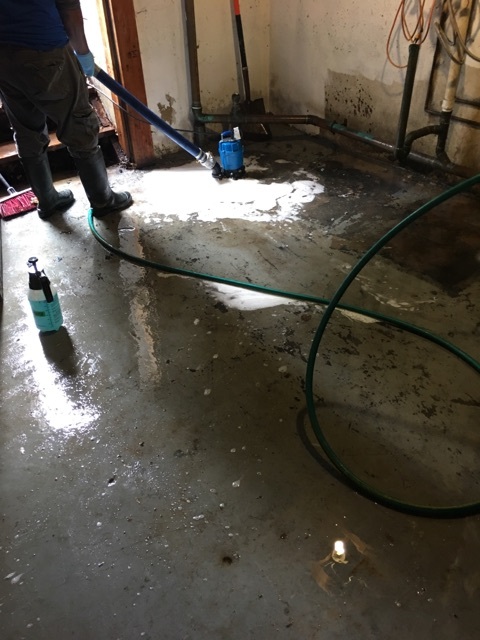 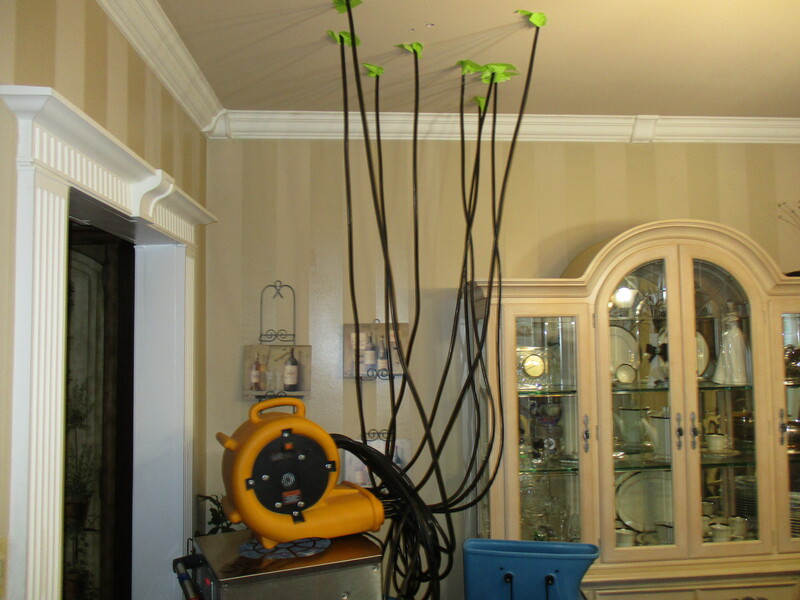 Sewage Backup Cleanup - Colts Neck, NJ | Septic Tank Backup Monmouth Co.
Colts Neck, NJ – AllStates was dispatched to water damage caused by a toilet backup overflow. 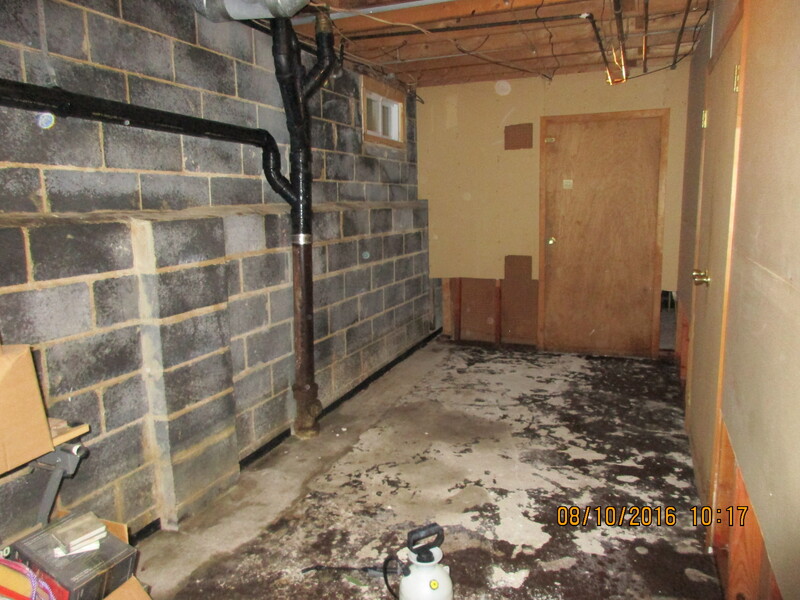 The sewer line backed up in the powder room and lead through to the finished basement. 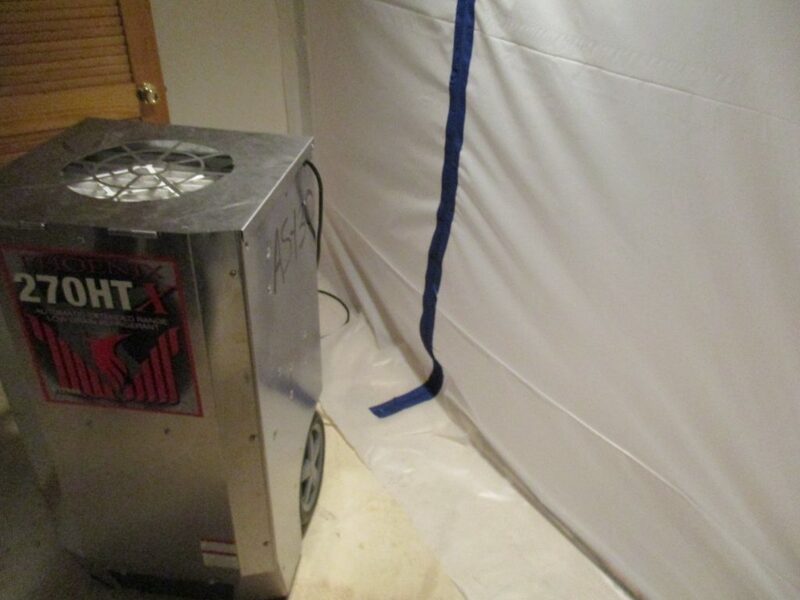 Our team responded with emergency services removed the affected materials, cleaned, sanitized and dried out the home. 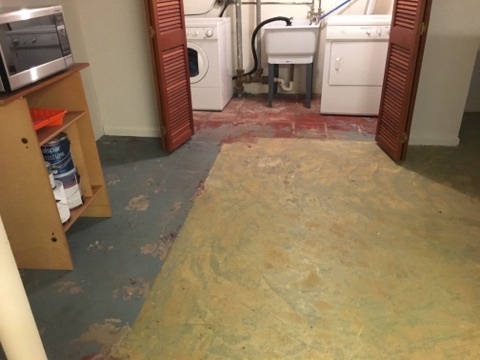 We extracted water/sewage from basement carpeting, removed the ceiling walls and carpet and needed to remove the carpet and walls in the office next to the bathroom as well. 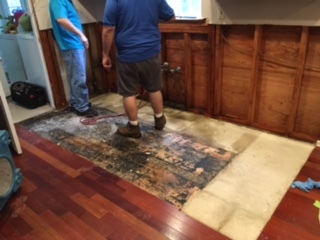 The AllStates Reconstruction Division performed a rebuild in the home to reconstruct the affected areas including the materials and contents taken out. 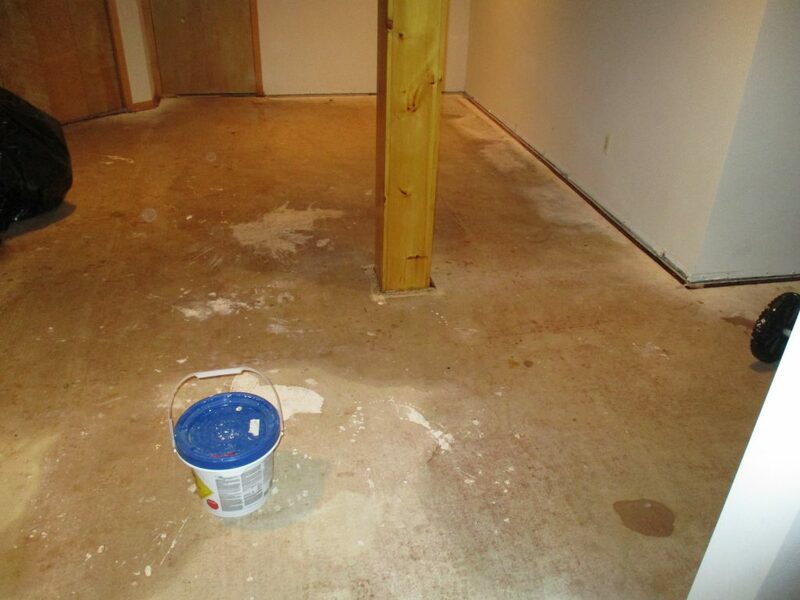 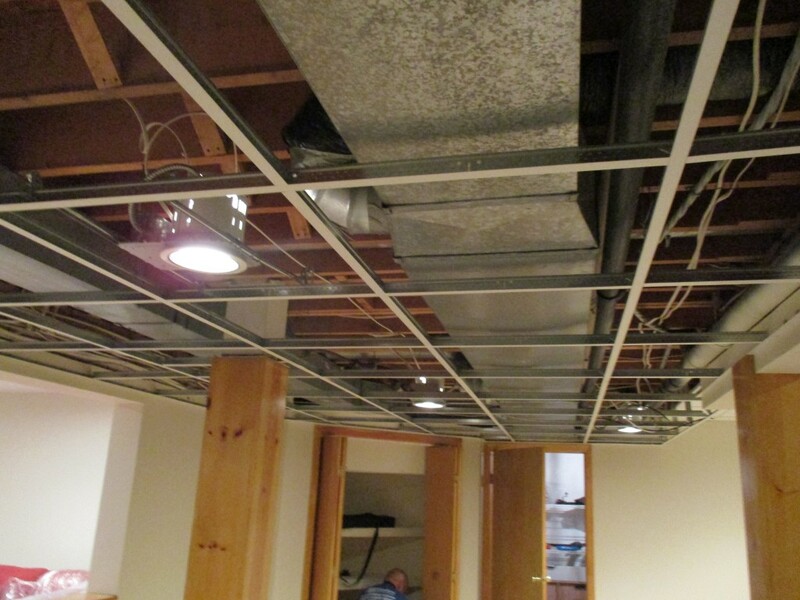 We are performing interior work in the bathroom, office and basement including sheetrock and tile placement throughout the affected areas in the home. 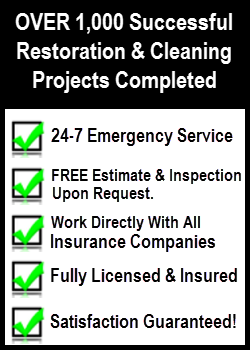 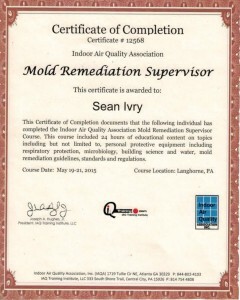 In event of sewer backup, we work locally in Colts Neck, NJ AllStates provide our clients emergency water removal and restoration service, fast response, and some of the most capable fire damage restoration, smoke odor removal, Colts Neck water damage restoration and mold remediation to Colts Neck, NJ residents and surrounding neighborhood Holmdel, Marlboro, Manalapan, Freehold, Englishtown, Middletown, Morganville, Red Bank, Eatontown, Tinton Falls, and Old Bridge in Monmouth Co. and Middlesex Co. 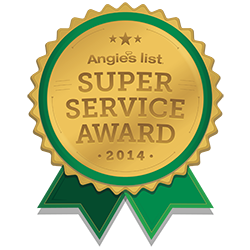 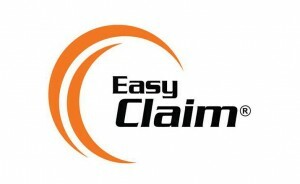 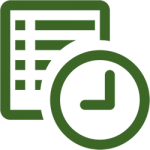 Call or send us an e-mail today to schedule an inspection appointment! 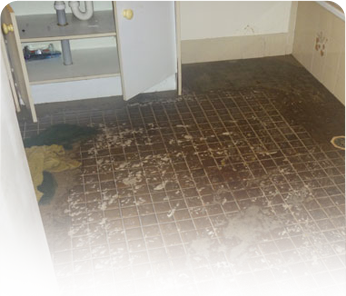 To schedule toilet overflow water damage inspection appointment, call 888-651-2532 or click here.